So I have and arduino uno that is firing an output on pin 8. This code is not in this file just to be clear. From there Im taking that output and using it to fire pin 0 on the wifi module. Im using pin 0 because from what I understand all other pins have a pullup or pulldown resistor. When pin 0 is hot I want to print that value. Sometimes it works when I do it other times the analog values reads very low. I am using the 3.3v from the arduino uno and I plan to get a voltage regulator for the wifi module but would this cause this kind of issue? I am very very new to arduino so if anyone has any ideas I would appreciate a very dumbed down explanation. Thanks a lot. Also the reason why I have the delay turned down so low is because it seemed to make the analog signal pick up more often. Im not sure why this would matter but at a delay of 3000 it would almost never change analog value but when I turned the delay down to one the value came through much more consistently. Currently the code just outputs low analog numbers and occasionally pops up 1023 when voltage is applied but not consistently. And sometimes it just stops altogether until I keep trying for a while. I am getting voltage to the pin however so I know I have a complete circuit and power. Analog to Digital conversion is one aspect1 where the ESP8266 is very poor. 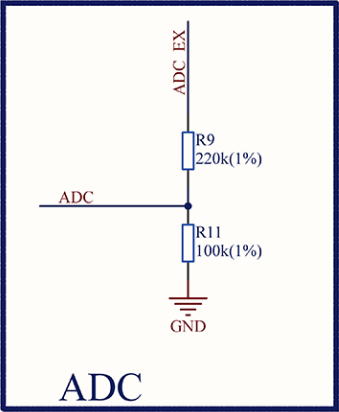 It has a single ADC pin which can read a maximum of 1V. That pin is the only pin you can use with analogRead(). Any attempts to use any other pin just use that pin instead. The parameter (pin number) to analogRead(pin) is ignored and no matter what you do that one single ADC pin is what is being read. Also the pin cannot be used for anything else. None of the digital functions can be used with it since the pin doesn't have a GPIO number associated with it. If your board doesn't have such a divider you will have to implement it (or something similar) to be able to read the 3.3V incoming voltage. 1 The ESP8266 is great for WiFi but pretty poor for everything else. It is seriously starved of internal peripherals (it doesn't even have I²C). For a more feature-rich solution you might consider upgrading to the ESP32. Not the answer you're looking for? Browse other questions tagged arduino-uno esp8266 analogread analogwrite arduino-uno-wifi or ask your own question.